Xtreme Post specializes in the fabrication and installation of rust-proof, galvanized-steel screw piles, offering unsurpassed durability for a rock-solid foundation. Founded in 2005, Xtreme Post is dedicated to offering the highest industry standards and most efficient solutions when it comes to screw-pile foundations. The experienced Xtreme Post team, which has made a name for itself in the industry, has the know-how to meet your specific needs. Installing Xtreme Post piles is fast, economical and environmentally friendly, with no damage to your land or landscaping. With Xtreme Post, you can forget about the hassle of conventional poured-concrete foundations that require heavy machinery. Xtreme Post specialized hydraulic equipment makes it possible to access locations that are hard to reach with standard equipment. This safe method yields solid results for any type of structure. Xtreme Post piles can solidly support any structure because they are firmly screwed into the ground and anchored below the frost line, thereby eliminating ground movement caused by the annual freeze-thaw cycle and variations in the terrain. The piles are designed to remain stable and withstand the weather. Xtreme Posts’ piles also meet the standards of the Canadian Construction Materials Centre (CCMC 13353-R). With strong references from its customers and pride in a brand that makes customer satisfaction a priority, the Xtreme Post team is the one to call when it’s time to install a screw-pile foundation, regardless of the job to be done. Xtreme Post piles offer a modern, clean, affordable, accessible and safe alternative for all your foundation needs. Xtreme Post reliable technique is recognized by thousands of customers, engineers, construction professionals, municipalities, etc. 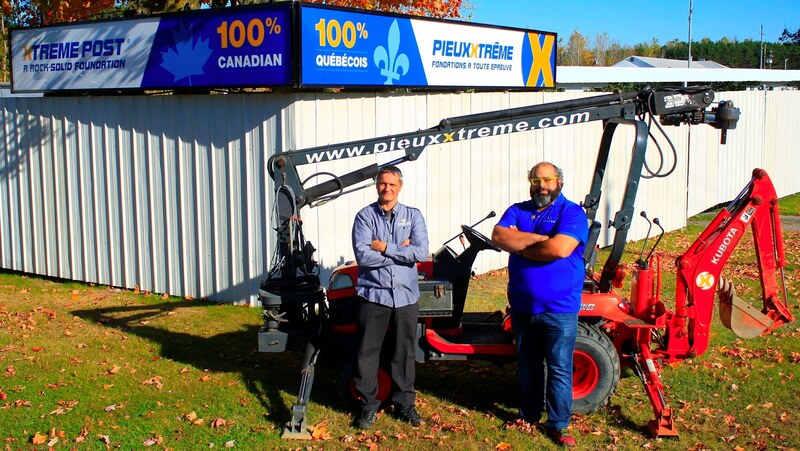 Its network of franchisees is constantly expanding, which means it has qualified professionals ready to serve customers all over Québec and in other parts of Canada.